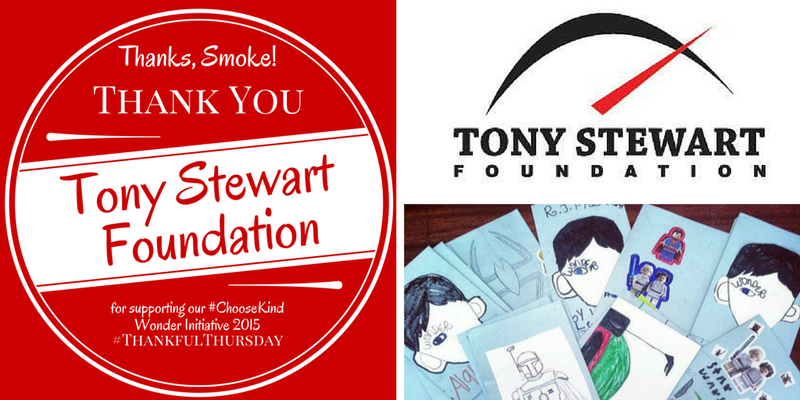 Children's Craniofacial Association is thankful for "Smoke!" The Tony Stewart Foundation has awarded CCA Kids a "Grant Accelerator Charity"
toward our Wonder #ChooseKind initiative for 2015! Thank you for choosing kind and supporting CCA!